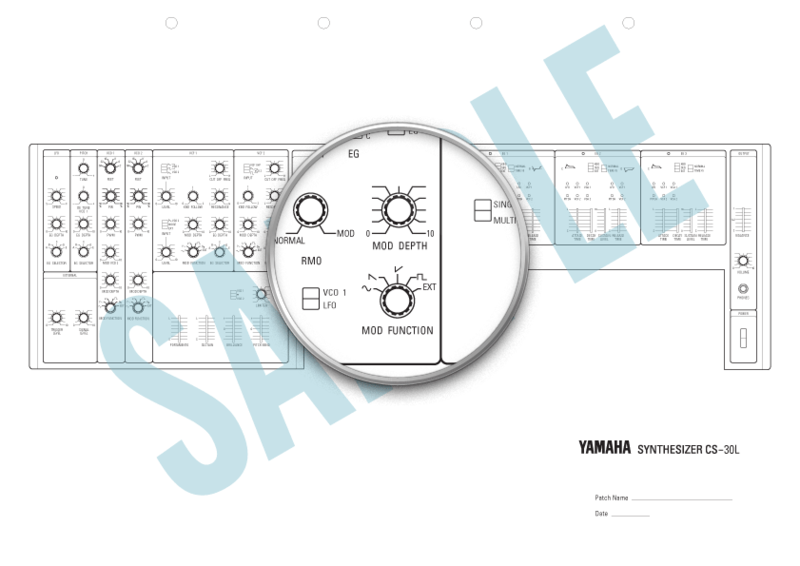 Here are patch sheets for the monophonic, memory-less CS-series synths from Yamaha. Provided are the CS-5, CS-10, CS-15, CS-30 and CS-30L. 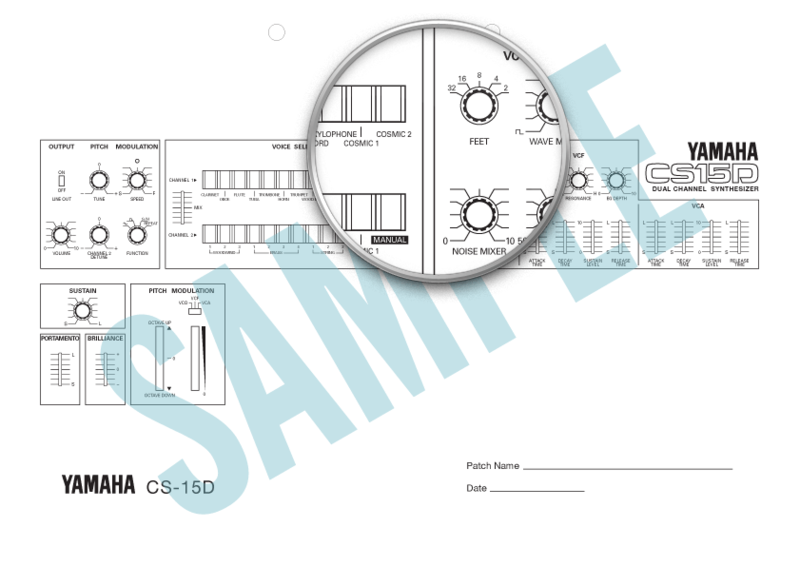 NB: The CS-30 and CS-30L patch sheets are large, A3 format. 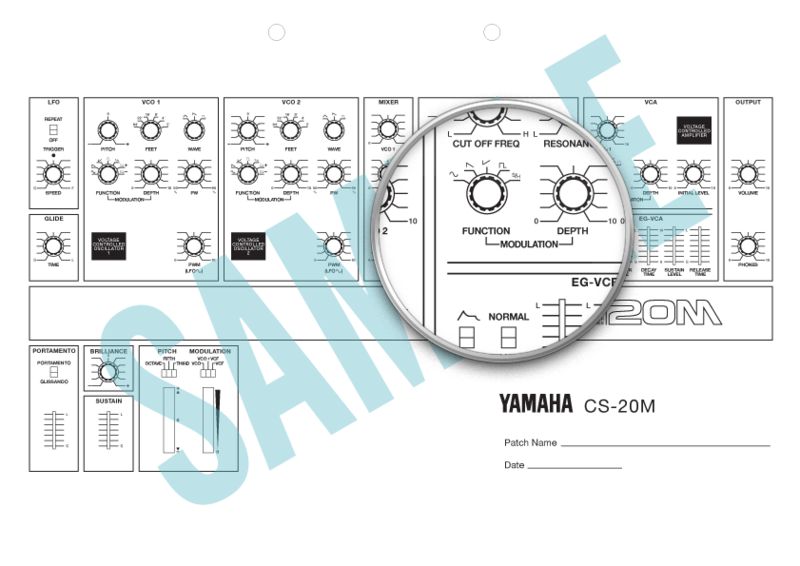 The remaining synths from Yamaha labelled 'CS' included the CS-15D, CS-20M, CS-40M and CS-70M. 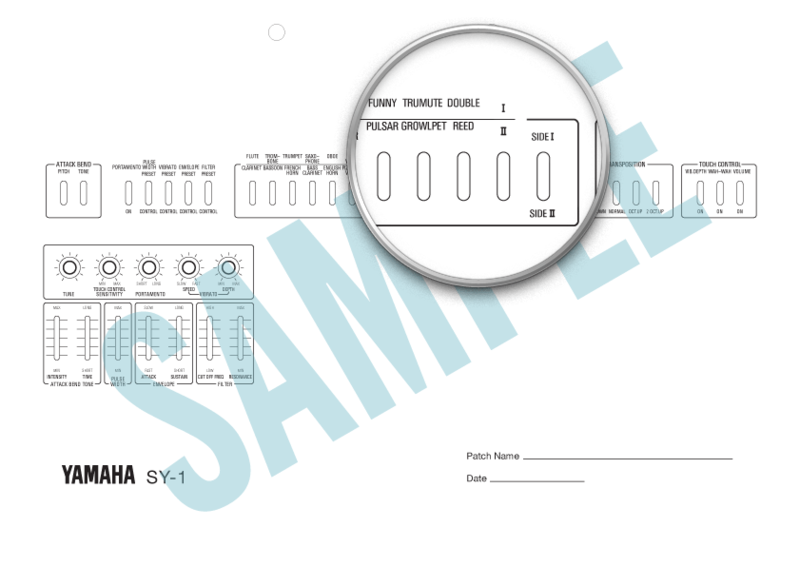 While the M of the series indicated onboard patch memory, this was limited. The models below are included by special request. 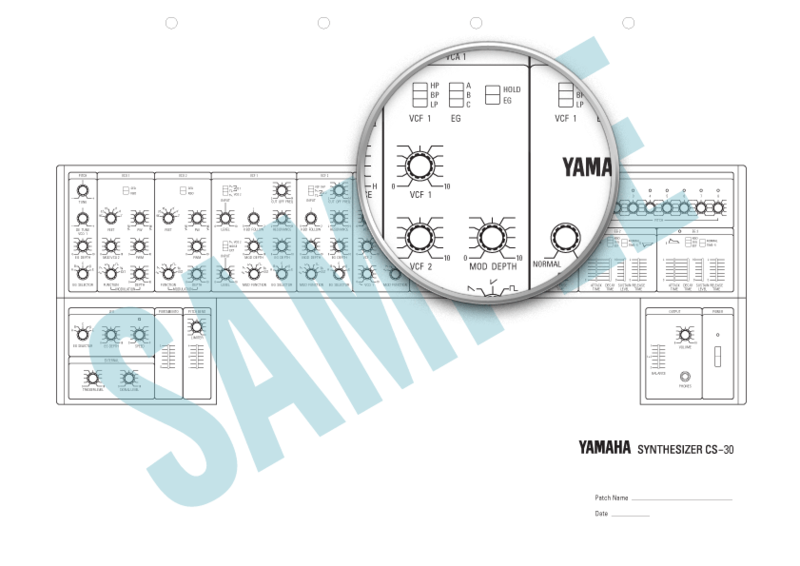 The SY series included both Yamaha's very first and very last analog synths. The first was the preset SY-1, closely followed by its successor the SY-2. 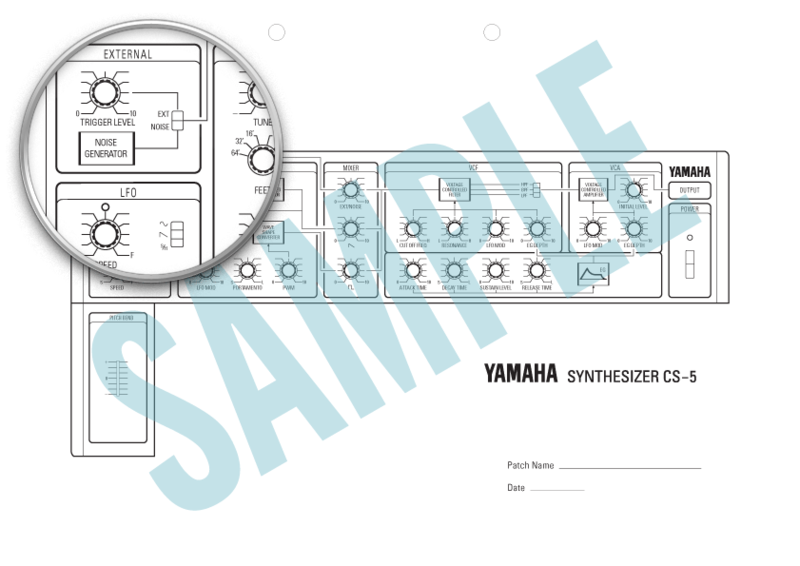 The very last was a rare synth intended for educational use in the Japanese market only, hence it had Japanese text on the panel. 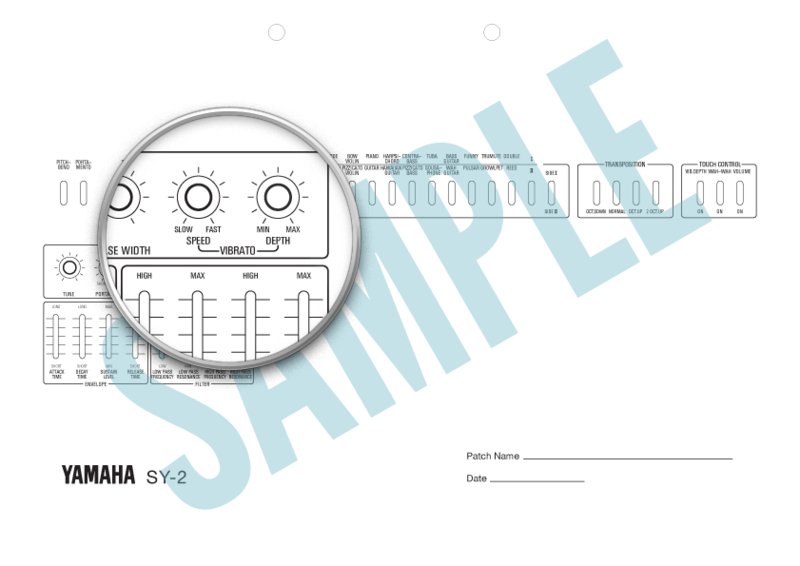 Patch sheets for each of these three below. 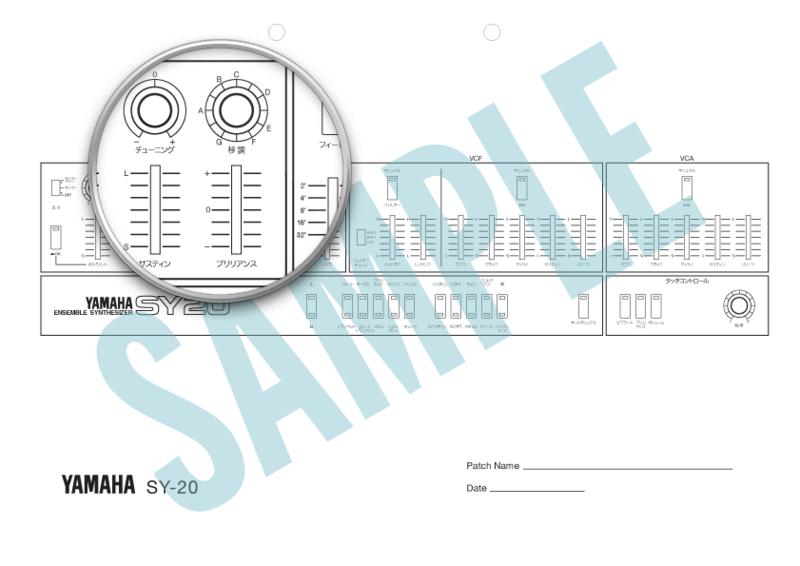 If you would like an English translation version of the SY-20 patch sheet please drop me an email. 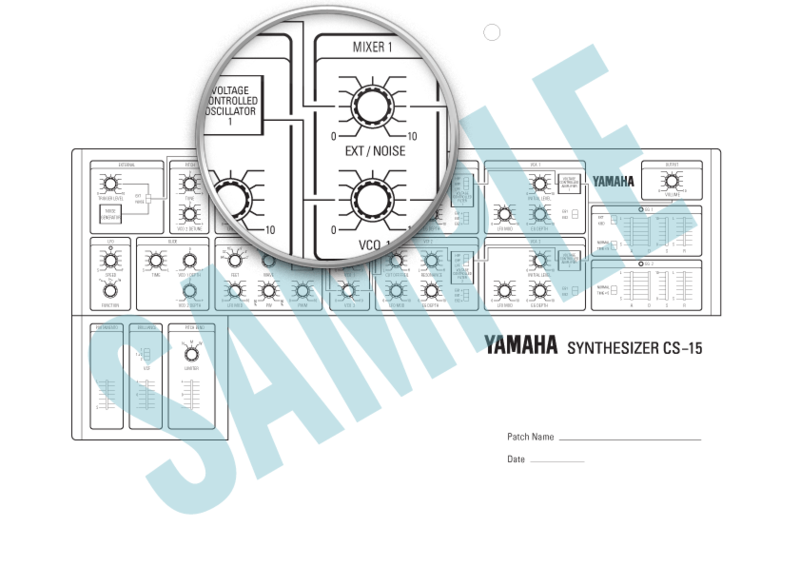 In addition to the synths above, I may consider other instruments from Yamaha for inclusion. 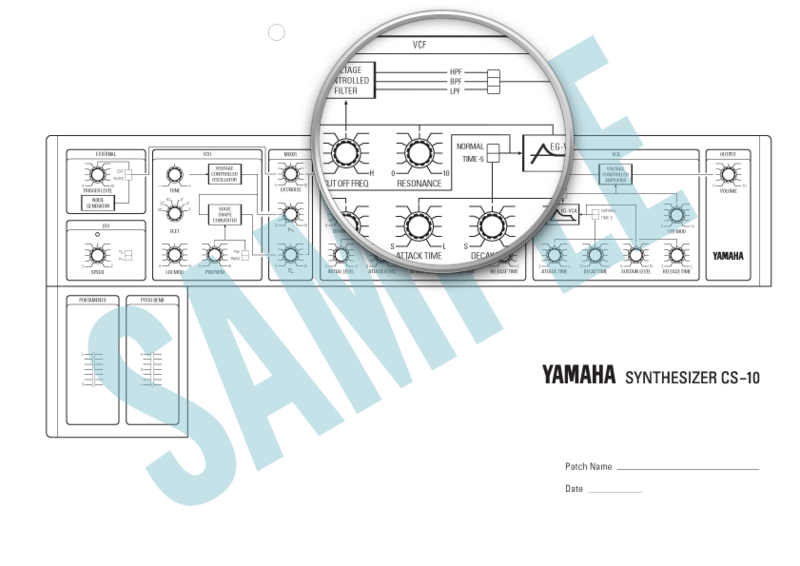 If there is a patch sheet for a particular instrument from Yamaha you would like to see please drop me an email.